What a great event Friday – I am so grateful for your time. Keep me posted on any public events (or wineries!) you may be hosting. I really want to come as see you both in action as opposed to watching you from a distance as an event coordinator! I don't have much of chance to view the skies through other people's telescopes, let alone hear their presentations, during our events up here. Great entertainment last night - thank you!!! Had a great time! Thanks so much; will be in touch soon. We wanted to thank you again for your very generous donation to the Alexander Valley Film Society. Last night was a huge success! All enjoyed meeting you personally and truly appreciated your professional knowledge and the opportunity to learn about the night sky (and see Saturn's rings up close and personal)! Thank you so much for your amazing star party last night. I think everyone really enjoyed the experience. My oldest son said today that the telescopes were his favorite part of the campout! Thank you also for my lovely gift of the framed Andromeda Galaxy. We're excited to hang it in my sons' "solar system" room for the summer, and then when school starts again, I'll share it with the teachers so they can use it whenever they're doing an outer-space unit in the classrooms. What a lovely time last night! What you two do is truly special. Thank you for sharing it with our school families! We're back home in South Florida and just wanted to write and say thank you for one of the most spectacular evenings! Thank you for your hospitality, knowledge, and company - already have the star photograph up in our living room!! Hi Jim, I just wanted to drop you a note of thanks for the wonderful evening we spent looking at the stars with you and Linda. The evening exceeded our expectations. Your telescope is fantastic and I don't think we managed to find a question you couldn't answer. Great job. Linda made us feel very welcome too and the effort you both made in setting up before we got there and being amendable to picking us up was really appreciated. Both my mum and I have been looking at the stars since our stargazing night. For me in particular, it is kind of weird that Orion is upside down and the reddish star within Orion is bottom right, not top left. 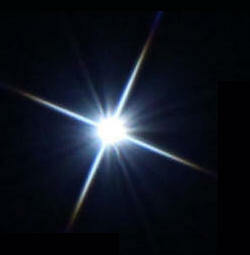 We have both been inspired and expect to continue looking into the night sky on a regular basis. Good luck with your business. You deserve to be very successful. We just wanted to thank everyone who helped make our Star Party so great! Everyone had a wonderful time, thanks for all your efforts to create an amazing event. Thank you so much for making our Dinner/Star Party so much fun! We really appreciated you setting all of you equipment up and showing us what we were looking at. Thanks so much for being great Rotarians! 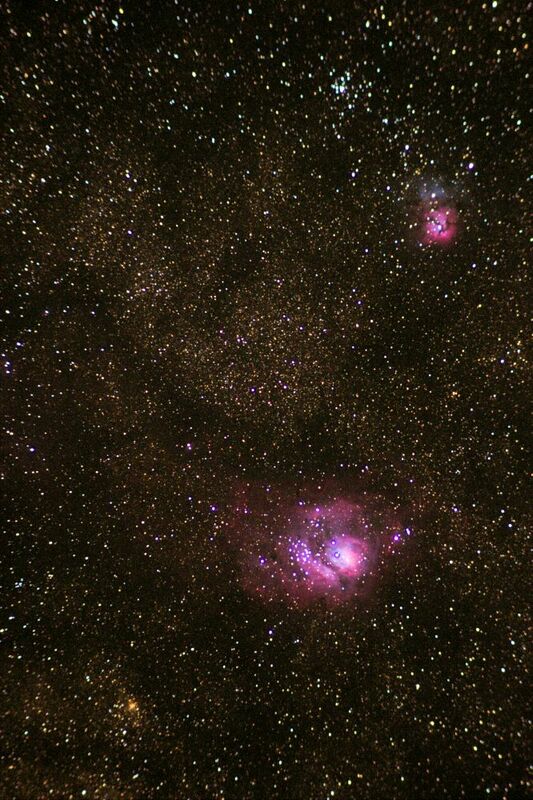 Great fun with the telescope last night Jim. Thanks to you and Linda for a good night out. I feel "well launched" - even thou I have a lot to learn. Looking forward to the next time with you two. Thank you again Linda for a wonderful evening. The girls really enjoyed it! Thank you so much for participating in our event. So glad to hear you enjoyed yourselves. We will absolutely keep you in mind as well for future events! Thank you Wine Country Star Party for your brilliant presentation the night of July 17th and 18th! We look forward to seeing you again August 23rd and 24th at Vista Point! It was such a great night. I've been watching the sky with much more interest since then. The double star was a knockout. Jim & Linda did a super job. I just wanted to thank Jim and Linda for their dynamic presentation on Friday night. I had the pleasure of attending along with 7 other friends/family members and it was a memorable experience for us all! I think my favorite sight, besides the Milky Way, was the double star. We had several campers who's participation turned their camping experience into an unexpectedly great night. We had great feedback from the campers. Everyone seemed to love the experience! Thanks to you for being such a great addition to our auction weekend. Many owners and staff members were bummed to have missed out on something so cool, so I expect we'll be bringing you back on property sometime soon. 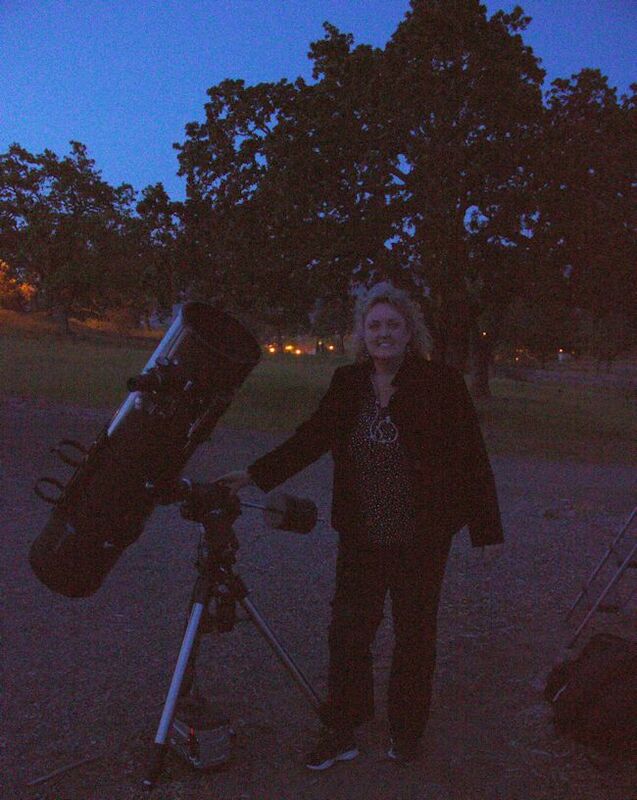 Had the pleasure of participating in a "Star Party" put on by Linda Harmening Sinkay and Jim Goodenough. 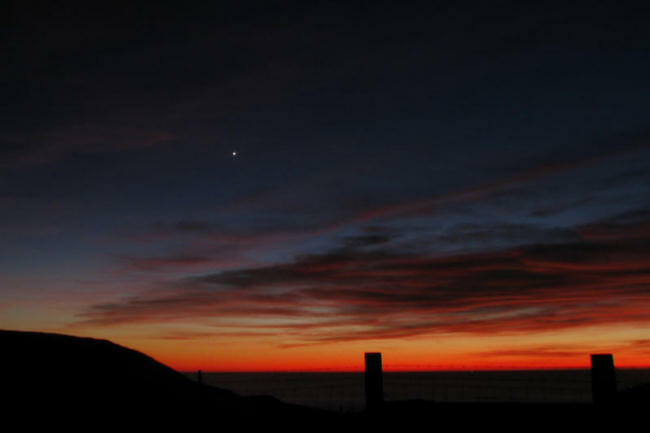 The sky cleared in time to see Venus, Jupiter, Saturn, and many stars and galaxies. A great time and highly recommended. And, now I can find the Little Dipper! Thanks to Linda, Jim, and the Sebastopol Area Senior Center! Just want to say Thank You for a very enjoyable evening of star and planet gazing. Everyone seemed to be having a great time. I was impressed that I was able to see Saturn and Jupiter with it's moons. Hope to see you two again. Thank you for a wonderful experience last night. We are still amazed that we got to see galaxies and planets with our very own eyes. Also, thank you for the wedding gift. We'll be sure to look you up when we visit California again. Thank you all. We enjoyed the wonderful dinner and the star gazing as well!! What a wonderful and educational evening. Our boys kept Jim and Linda working until way into the evening and they could not have been more interesting or accommodating. It was the highlight of our Easter trip to Meadowwood. Thanks so much for the beautiful photographs and for a lovely evening. Thank you so much for all your wonderful contributions to the successful star party last night. Even though the fog rolled in, cutting the star-gazing portion short, I think it was a terrific night enjoyed and appreciated by all. You two are great to work with - planning and implementing! I greatly admire your knowledge, passion, and general awesomeness. Any photos you end up with, we'd love to see. Looking forward to seeing you again soon. Enjoy your weekend. Thank you both so much for taking the time to entertain our guests at the star party. You both were a delight and the featured attraction of the evening! We can't thank you enough! It was a tremendously wonderful experience. Saw the rings of Saturn and many other celestial delights. Zephyr and I feel very lucky to have had this experience with such a warm and interesting group of people. 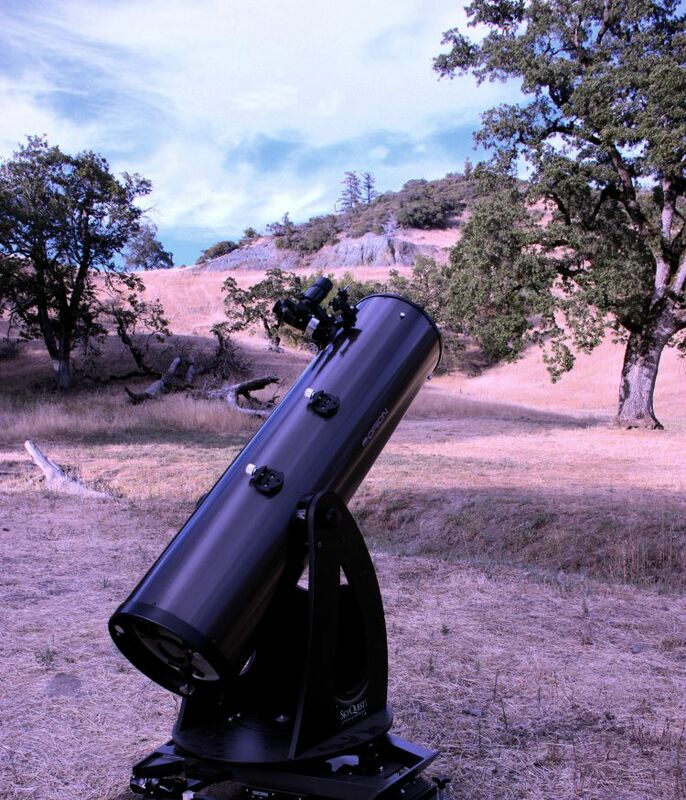 Thank you Landpaths, and Wine Country Star Party for creating such an inspiring and memorable event! I just wanted to say thanks again for the amazing star tour - it is surely something Maija or I will not soon forget! I wanted to ask you for your opinion on what would be a good stargazing telescope for me to get I would like to be able to see Saturn and it's rings and things such as nebulas and other galaxies like we saw through yours on the tour do you have any brand name suggestions or specific telescopes that would be good for that? Thank you so much and I will spread the good news about wine country star party to all of my friends! Thank you so very much! We had a beautiful evening looking at the stars with the both of you. I learned so much about zodiac ASTERISMS. I was finally able to see Cygnus as it truly is in the sky. You both made our last night together an evening I will never forget. I love the photo of Lovejoy! I am curious if you happen to know what part of the sky you captured the image of the comet, so that I am able to be accurate in my description of the beautiful photo. My sister and brother-in-law had a great time last night - as I knew they would. What a pleasure to be able to give them a gift they could be so jazzed about! Thanks for creating such a fun experience for them! I just wanted to send a quick thank you for the wonderful event this past weekend. We made it despite the weather! All of the feedback was great. So much so that we might want to make it an annual event. Jack and I truly enjoyed the experience and have shared stories about our memorable evening with many folks. The night sky may be vast but sure is teeming with beautiful ornaments. It was a pleasure to see this in such detail - like turning on a Xmas tree's lights for the first time. We also appreciate your company and how you two provided such interesting insights into the stars and the history of star discovery. And Jack was really tickled with the moon photo (now hanging in our bedroom). I just saw an article about tonight's Draconid meteor shower - hopefully the high clouds outside will disperse in time. I assume you and Linda will be ready and vigilant - enjoy!!! Linda, I have heard nothing but praise and delight from my club about the party we had up here last week. It was wonderful and thank you to you and to Jim for doing this. We will keep you in mind for future events. Thank you so much for a wonderful night of Stargazing! The best part was meeting the two of you! We feel you have a great gift in the way you share your knowledge of the stars. It is a friendly experience and on a level anyone can understand. What a night of fun we had with you both. I wish we could of stayed longer. Words I heard to describe the evening included "fabulous" "enchanting" and "awesome" . . . to name a few. Thank you for bringing your Star Party to our neighborhood and for supporting our fundraising efforts. Thanks again for everything! You're a delight to work with, easy and fun. I feel really good about the Star Party last night. I had a great time, and everyone I talked with expressed enthusiasm and gratitude for the experience. I look forward to having more Star Parties here. It was a fabulous experience - seeing Saturn and the ring was the highlight! Thanks for making it so much fun to connect with the cosmos. You are both out of this world. Thank you for sharing your stories and your stars with us! What a gift you have to bring a bit of magic into our lives! You made the evening. Thank you for a unique experience of my life. What a great show the sky provides for those who get away from the bright lights of civilization for a little while! 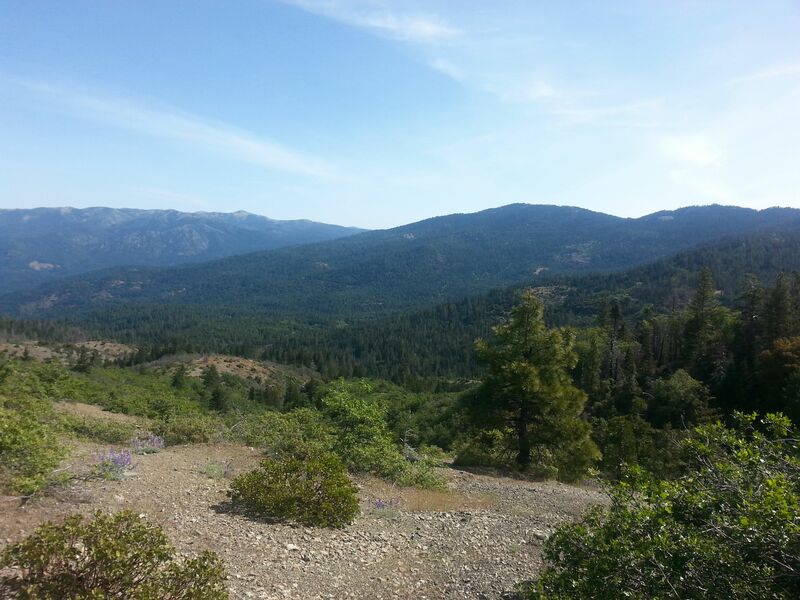 While enjoying nature with my Son, I had strong memories of time spent outdoors with my Dad. Those skies looked very familiar last night, but it's been a while since I paid attention to them. Thank you for your generous donation towards Camp South Africa. The banquet was a huge success! Your support helps make Camp South Africa possible. We all had the best time . . . went on talking about all the beautiful things we saw with your help through much of the next day. I know we will want to do another star party, and I hope it will be soon. It was a wonderful evening & I hope we can do it again. 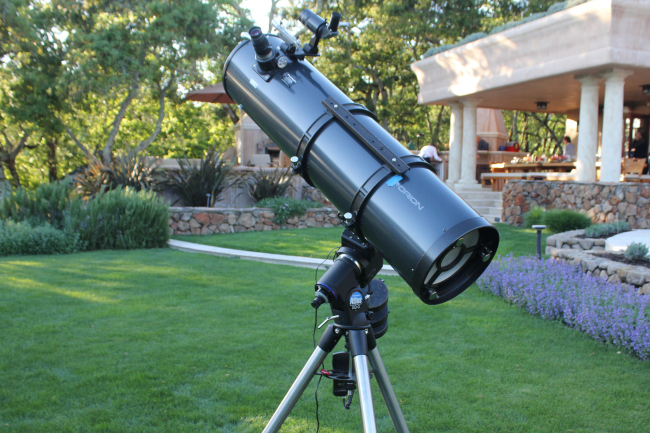 Thank you for donating a Stargazing Party for 10 to our live auction.